This year marked the 54th year anniversary of the tragedy of Vajont. The site is an easy day trip from Venice and worth the visit. The dam was/is (because all though the dam is there still, there is no water in the basin) situated in a remote and beautiful area about 100km northeast of Venice, just beyond Vittorio Veneto along the Piave River valley and the roadway which eventually leads through the Dolomiti to Austria. 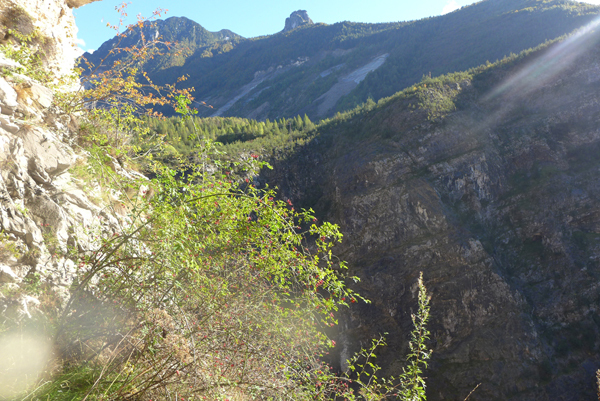 Looking up at the dam from the valley below does not give you the sense of the size of the landslide. It appears tranquil. It is only when you reach the dam itself that you have the realization of that the Monte Toc Mountain is where the lake should be. Visiting this remote area is a reminder of the dangers of mother nature, especially when the rules are ignored. 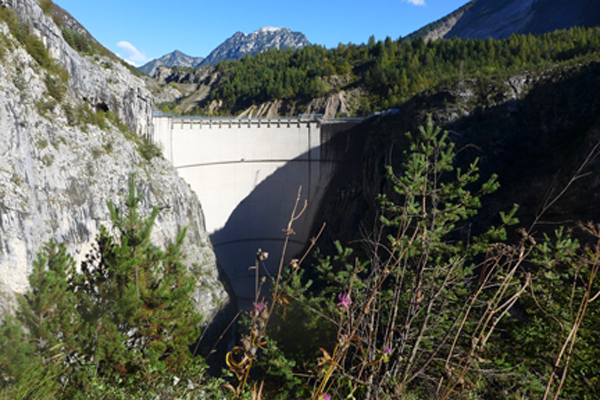 The Dam of Vajont project seemed an ideal location nestled in the Vajont Gouge of two opposing mountains and harnessing the power of the Vajont River before it flows into the Piave River on it’s way to the Adriatic. Never mind that the generations before had named the mountain, Monte Toc, “the mountain that walks ” nor that the area had been devastated in prior centuries by flood and landslides. The plans for this project were envisioned in the 1920s but only authorized in 1943 to meet the growing need for industrialization and obviously put on hold during WWII. 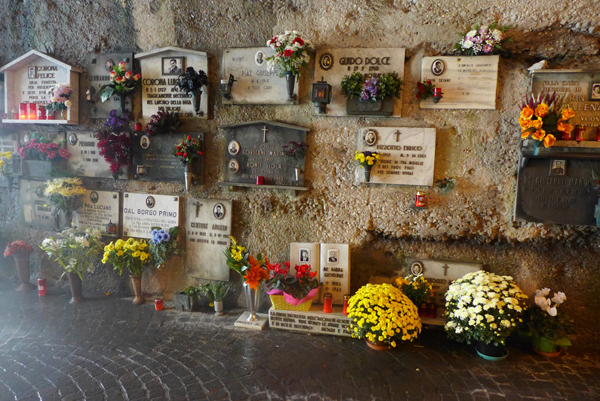 It was built by SADE (Societa Adriatica di Elettricita) whose engineers completed the engineering analysis, including the landslide sites in the facing mountains. It was an ambitious project which included building basins higher in the mountain to feed the lake created by the dam. Construction begin in 1957, based on the older engineering analysis, but by 1959 the mountain had already begun shifting on the side where construction of a road was in progress. 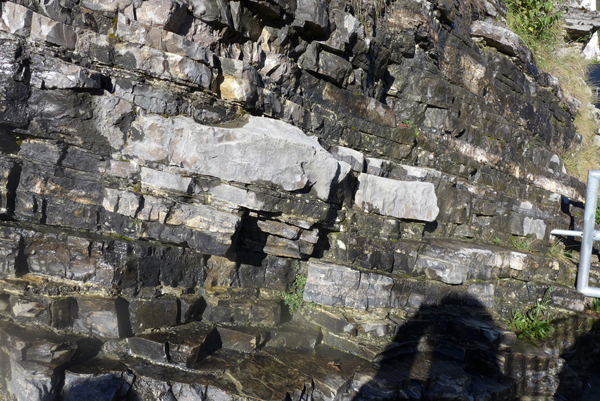 Three separate studies concluded that the entire side of Monte Toc was unstable and could fall into the lake. But, these analysis were ignored, why and whose fault are still unanswered questions. Or maybe as you read other reports there were business and political interests which fogged the normal precaution of engineers. SADE received the OK from Rome and the Italian government in February 1960 to proceed with filling the reservoir, and with the spring thaw in the mountains the water level began to rise. Throughout the summer of 1960, minor landslides occurred. But the water level continued to rise per the construction plans. On 4 November 1960 when the water level was at about 190 metres (620 feet) a large landslide of approximately 800,000 cubic metres (one million cubic yards) fell right into the lake. SADE stopped filling the reservoir and began some plans to build a basin just before the dam which would make it a safeguard in case of further erosion, which by now seemed likely . They reduced the water level by about 50 metres (160 feet) during this phase. However, after this basin was completed, they resumed filling the reservoir and May of 1962, the water level was at 215 metres (705 feet). The locals living in the nearby towns of Erto and Casso were experiencing earthquakes and had become concerned and they knew that earthquakes and landslides go hand-in-hand. Their concerns were over ignored by Rome and SADE who received the authorization to fill the dam to its maximum level. By July 1962, even SADE’s engineers were concerned and ran models on the effect of further landslides of Monte Toc into the lake. They concluded that the wave generated by a sudden fall of the side of the mountain could generate a wave large enough to overflow the damn if the water level was within 20 metres of the top of the dam (66 feet). So the decision was made to lower the water level 25metres. The engineers decided they could “control” the now certain landsides by controlling the level water in the dam, so once again they proceeded to fill the lake. Apparently no one informed the villages below of this dangerous possibility. 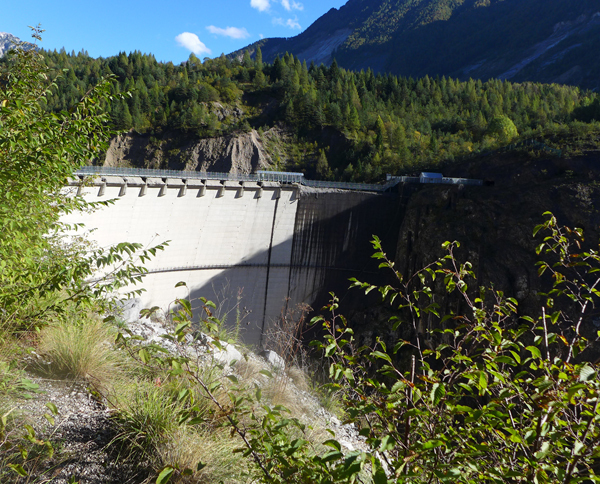 In March of 1963 the dam was transferred from SADE to the newly formed ENEL (still the power company in Italy). SADE was encouraged to declare the dam as fully operational in order to receive final paymenr. In order to receive the final payment, the reservoir had to be filled. The spring and summer saw the reservoir almost completely filled and locals became concerned as slides and earthquakes were continuously felt around the dam. Their fears were growing and on 15 September 1963, the entire side of the Monte Toc slid closer to the lake by 22 centimetres (8.7 inches) on one single day. By early October, the entire mountain of Monte Toc moved 1 metre in one day (3.3 feet). Looking back, at this point it appeared inevitable that the entire mountain would slide into the lake. Locals were concerned, but no one sounded the alarm to evacuate the residents or workers. On 9 October 1963, engineers working at the dam noticed trees falling and rocks rolling down into the lake. The water by now had been lowered to the level prior engineering analysis felt would prevent the water overflowing the dam. In fact, the SADE engineers were standing on the top of the dam that fateful night, watching mother nature in action as they were confident that the water level was low enough to prevent overflow of the dam. They still trusted the engineering analysis. At 10:30 p.m. as the locals below in the village of Longarone watched the World Cup Soccer, unaware of the imminent danger. And they had no warning by the power company of the slides the engineers were witnessing. So at 10:30 pm the entire side of the mountain fell into the reservoir with a speed estimated to be upwards of 110 kilometers (68mph), completely filling up the narrow gorge basin. This catastrophic landslide took only 45 seconds which displaced some 65,000,000 cubic yards of water generating a tsunami with a 250 meter (820 feet) wave of water. The washbasin effect of the wave first pummeled the villages of Erto and Casso which were 100 feet higher up on the opposite side of the mountain. The water fell back into the reservoir and like a tsunami crested the top of the dam destroying the villages below along the Piave valley. Looking at these villages today, it seems impossible the water could have reached them, but it did. Longarone, Pirago, Rivalta, Villanova and Fae were obliterated, turning the land into a flat plain of mud with impact crater some 200 feet deep. Some 350 families lost all their members in this 4 minutes of terror and more than 400 children. Within 25 minutes all the water which erupted over the dam was drained from the valley revealing the vast destruction. Today a memorial stands near the entrance to the dam and along the road and memorial are tributes to the children who died and to the workers. Oddly enough the dam was not damaged substantially. The design of the dam was a engineering model, the choice of the location was the failure. 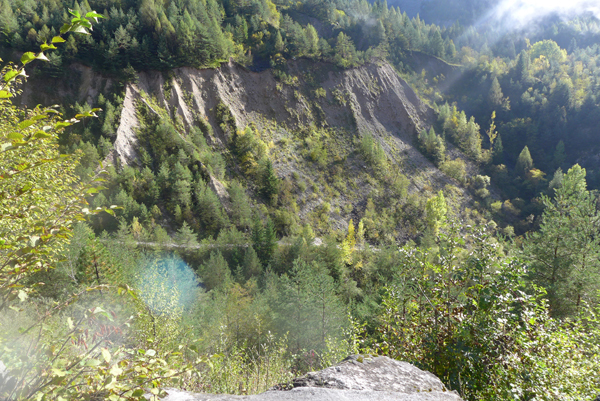 The geological structure of the area, limestone with clay all sloping towards the lake meant the landslide was guaranteed, just when and how fast was the question. Our photography doesn’t do justice to the magnitude of the disaster. Visiting leaves a lasting impression. 2013 marked the 50th Anniversary. 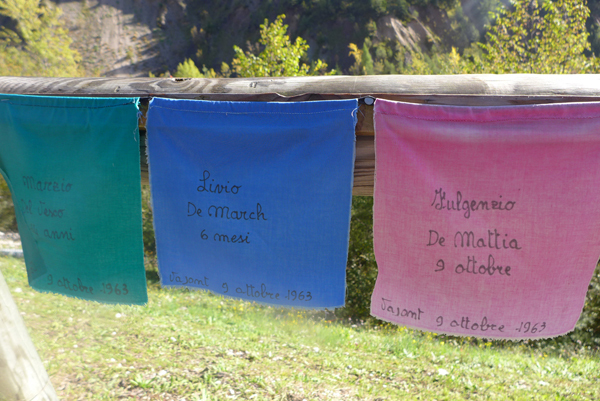 The Giro d’Italia finished in Vajont to commemorate the anniversary. 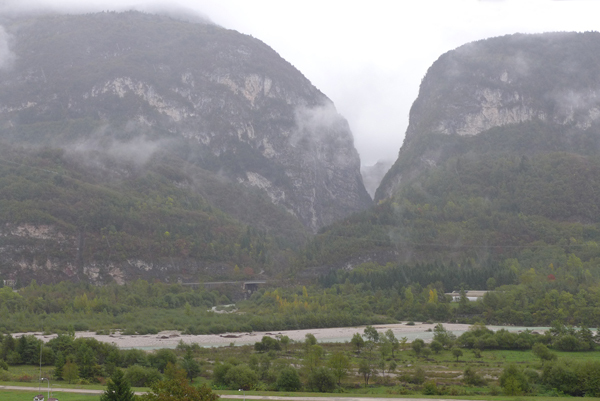 5) Vajont – the Almost Greek Tragedy This is worth reading.